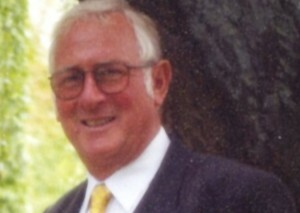 Tributes have been paid to a former Lancashire Telegraph journalist who has died at the age of 79 after a short illness. Peter Storah was a well-regarded Northern print journalist before going on to a career in the national press. He trained on his hometown paper, the Todmorden Advertiser, before joining the Telegraph in the early 1960s. In 1965, he was one of the launch team of the now-defunct Burnley Evening Star, and in 1970 reported from Barcelona on a plane crash in which 38 people from the East Lancashire area died. Alan Simpson, deputy editor of the Telegraph, said: "Peter’s reports from the little town of Arbucias, near to where the plane had crashed into mountains, were heartbreaking yet the prose was both beautifully and tastefully created. In the 1980s he became a sub-editor on the Daily Star in Manchester and then moved onto the Daily Sport. He later worked subbing shifts at the Liverpool Echo. His daughter Caroline, said: “The whole family and all his friends and neighbours are devastated. To us it is a life cut short. He leaves a wife Joan, two children and four grandchildren.